Coffee is on the top list of the most consumed drink in the world. Coffee not only taste good but also drink for the caffeine. Coffee have their own place in many people morning routine to energize their morning. One of the most famous coffee consumed in the United States is the Cuban Coffee. Here in this article we will introduced you to two famous Cuban coffee brand, which are Café Bustelo and Pilon. Café Bustelo is an American Coffee brand owned by J.M. Smucker Company, which also the owner of Folgers coffee brand. Café Bustelo was found by a Cuban named Gregorio Menendez Bustelo. He found the Café Bustelo Company in the Bronx, New York in 1928 and soon after it was found, the brand became famous among Cuban exiles who preferred to prepare it in espresso coffee makers rather than the common method of filtering it through a coffee “sock”. The company continue its success story until 20th century and is famous for it’s easy to distinguish yellow and red cans. Café Bustelo has various three types of coffee, which are the Dark Roast, Café Espresso, and Decaf. The Dark Roast and Café Espresso aside from the ground coffee, they are also available in vacuum brick package version. The Decaf version of Café Bustelo claims to be bold or strong enough. The Café Espresso is designed to be used in any espresso machine, it is a full-flavored yet still smooth to the taste. The most popular Café Bustelo coffee is the Dark Roast, which claimed to be made from the finest coffees in the world. Dark Roast has richer taste and the brew is dark brown in color, sometimes even black. When roast at this level, it is hard to determine the characteristic or the coffee’s origin. Pilon is a brand of Cuban coffee founded by PepeSouto with the help from his Sons after convincing a U.S roaster to roast and pack their formula of Cuban-style coffee. Their first coffee named Café Souto are sold door to door by Pepe together with his sons and wife. Their marketing method is by listing the names and address of potential customers provided by their existing customers to widening their market. If you are interested, you can read our coffee review on Maxwell House Vs Nescafe. Pepe ensure his customer that they able to provide fresh, quality Cuban coffee once a week. After his sons grow older the business also becomes more successful. In 1956 PepeSouto acquired Rowland coffee Roasters together with the Pilon brand and begin to market his Cuban coffee under the Pilon brand. In present day Pilon is owned by J.M. Smucker Company. Pilon has four main coffee products, which are the Espresso, Gourmet, Instant coffee, and Decaf. The most famous Pilon coffee product is the Espresso coffee, which is available in both can and brick package. This coffee claims to provide you with a good sip of coffee, whether mix with milk or drink straight black. Pilon Espresso is ground finely with darker color and richer taste. Espresso beans are ground finely to assure the water is absorbed to release the full flavor of the bean. 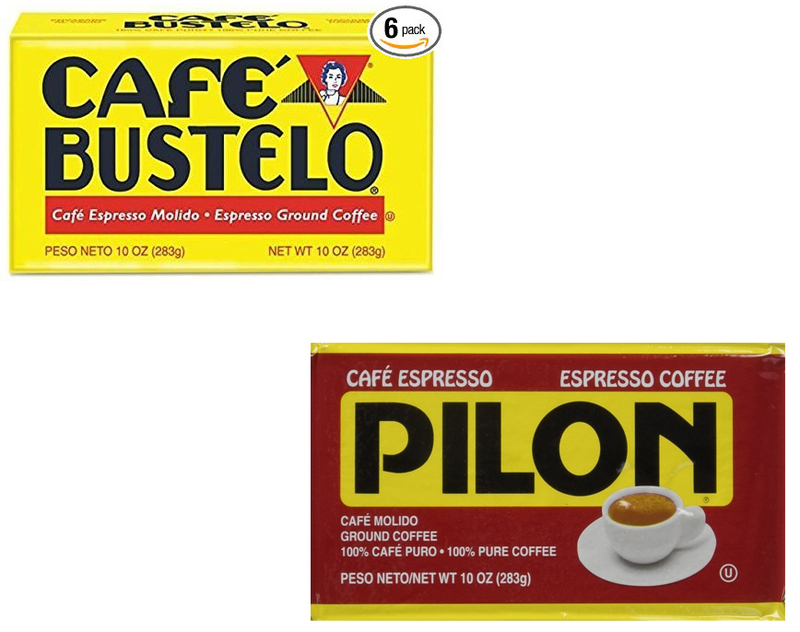 Both of Café Bustelo and Pilon are now owned by the same company, which is J.M. Smucker. Both of them are also categorized as Cuban Coffee. While the most famous in the United States is the yellow Bustelo, the red Pilon is said to be favored by many Cuban population. As for the taste, people have different preference and taste, so one favorite may not the same with other. Comparing from their price, the yellow Bustelo is slightly pricier than Pilon. In our opinion, both of them taste good, but we will recommend you to try the many Cuban favorite Pilon.